E-Participation is ICT-enabled citizens’ participation in policies and policy-making. Many citizens consider that the EU is something that happens only in Brussels, far away from them and their daily lives. But in fact, the European institutions have created a number of online tools where each and every one of us can take part in the development of EU policies and benefit from our rights as European citizens. One of the recognised shortcomings of e-Participation in Europe is that it is practiced by experienced Internet users. Telecentres can reach beyond these “usual suspects” and involve citizens with basic or even no previous online experience, including the elderly, the disabled, household women, etc. e-Facilitators in the telecentres are natural multipliers of the project results. Building their capacity to provide trainings on digital tools for e-Participation at the EU level is a long-term investment – they will be able to provide such trainings to their target groups long after the end of the project. Through the discussions and practical workshops we will inform and motivate citizens to use these e-Participation tools and will encourage them to reflect on their practical relevance and usefulness. In eleven countries the national partners will organise the European e-Participation Day 2015. During this Day they will hold face-to-face discussions and practical workshops on e-Participation focused on the four e-Participation tools. 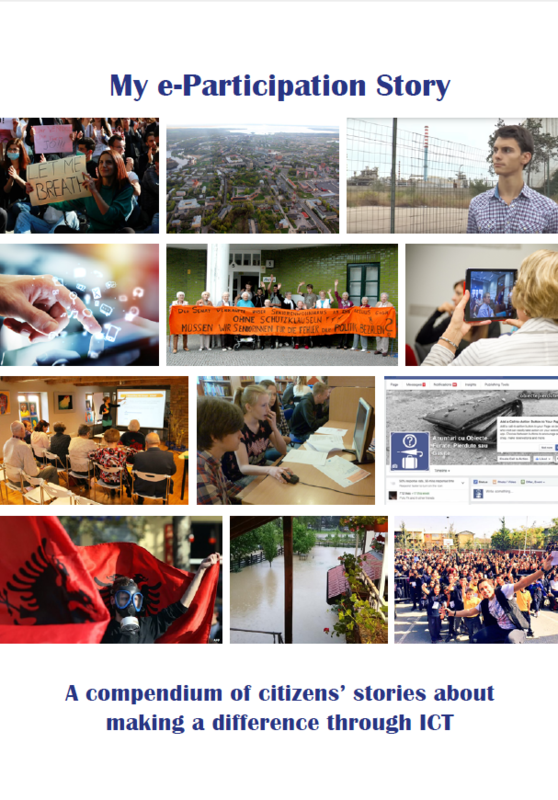 The e-Participation Day 2015 will be followed by an international competition “My e-Participation story”, where citizens will share their personal experience with the online e-Participation tools and will have the chance to win a trip to Brussels to present their experience to policy-makers at the multi-stakeholder conference “e-Participation from a Citizens Perspective”. Please contact project partners for national versions of the brochure. For more about all 5 project events organised in 2015, please refer to the project FACTSHEET.